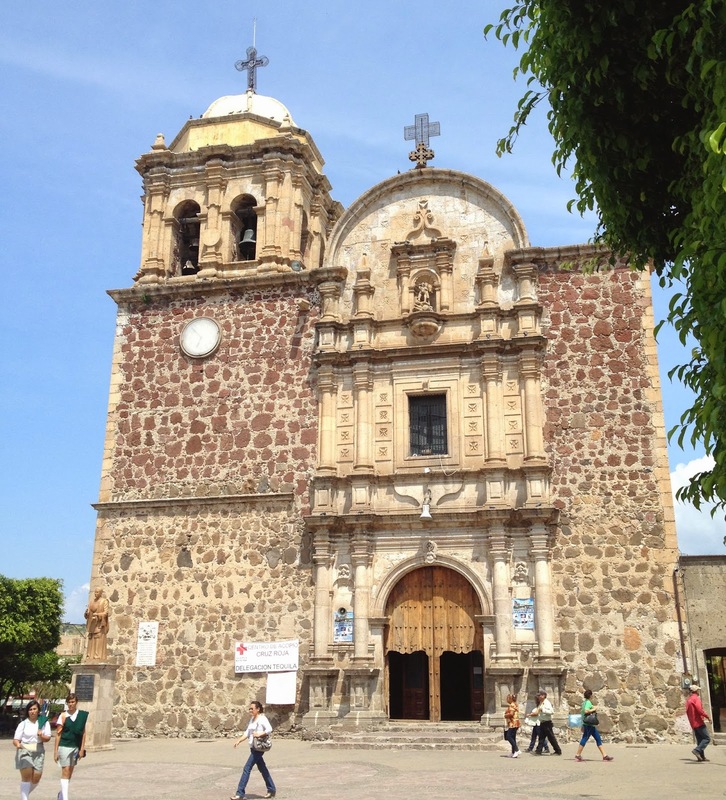 Santiago de Tequila, founded in 1530 by Franciscan monks, is a village located about 40 miles west of Guadalajara in the Mexican state of Jalisco. The heart of the growing region of the blue agave plant, Santiago de Tequila is known as the birthplace of the spirit that bears its name, tequila. Tequila is a variety of mezcal made from the blue agave plant cultivated in one of five select states in Mexico: Jalisco, Nayarit, Michoacán, Guanajuato and Tamaulipas. 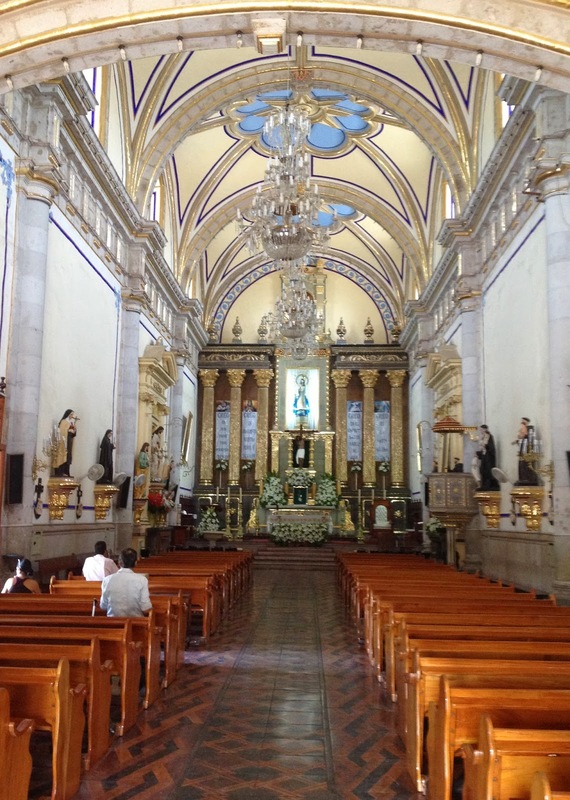 Designated a World Heritage Site, Santiago de Tequila is a charming town centered around the stone church of Our Lady of Purísima Concepción (can you believe this girl finally figured out how to use accents in Blogger!). Some of our lovely friends in Guadalajara set up a tour for us at the Hacienda San José Del Refugio at Casa Herradura, in the nearby pueblo of Amatitán. An ancient symbol of luck and prosperity, the iconic horseshoe symbol of Herradura tequila has the shoe facing downwards, so that the good fortune may be poured out and enjoyed by all. What a lovely sentiment that is actually indicative of the spirit of the Mexican people as a whole. Hacienda San José Del Refugio was built in 1870 and is a small pueblito in and of itself. 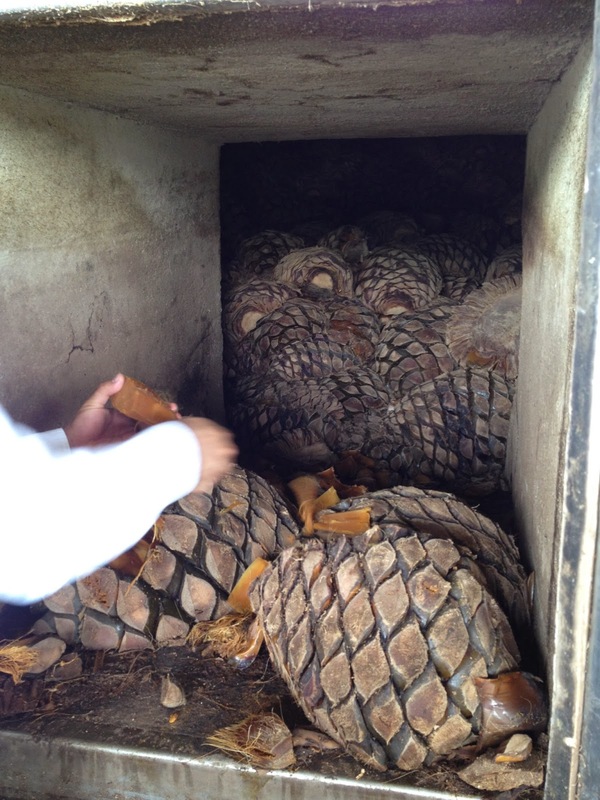 Our trusty guide, Angel, led us through a fascinating 3 hour tour detailing the harvest, cooking, crushing, fermentation and distillation of the blue agave plant. The blue agave is a fascinating plant that requires 7 to 10 years to mature and is only propagated by the Mexican long-nose bat. Casa Herradura has 25 million blue agaves at every stage of maturation in cultivation to guarantee production of their plata, reposado, and añejo tequilas for years to come under the labels of Herradura and El Jimador. Angel was true to his name and very attentive by keeping us well hydrated and providing libations along the way. Touted as the best selling drink in convenience stores across Mexico, El Jimador’s New Mix comes in four flavors: Paloma, Vampiro, Margarita and Paloma Mango Spicy. I chose the Paloma, a mixture of Squirt (grapefruit-flavored soda), tequila and lime. It was slightly reminiscent of those wine coolers we used to drink in high school (not sure if that is a good thing), but it is refreshing on a hot day. A jimador is a farmer who harvests the ripe agave using a hoe-type tool called a coa. There are many critical stages involved in this process, beginning with identifying a ripe agave, to cutting off the leaves of the plant, leaving only the pulpy center. Planting, tending and harvesting remains largely a manual effort, with the knowledge being passed down from generation to generation. At this point, we tried a sliver of the piña, which was tasteless. But after roasting in large ovens for 24 hours, then cooled for 24 hours, their starches are converted to sugars. After cooling, the roast agaves are milled, and the agave juice is fermented for several days in (mostly) stainless steel vats. The temperature of the juice rises as yeast converts the sugar to alcohol. At this point, the alcohol content is similar to that of beer and wine. 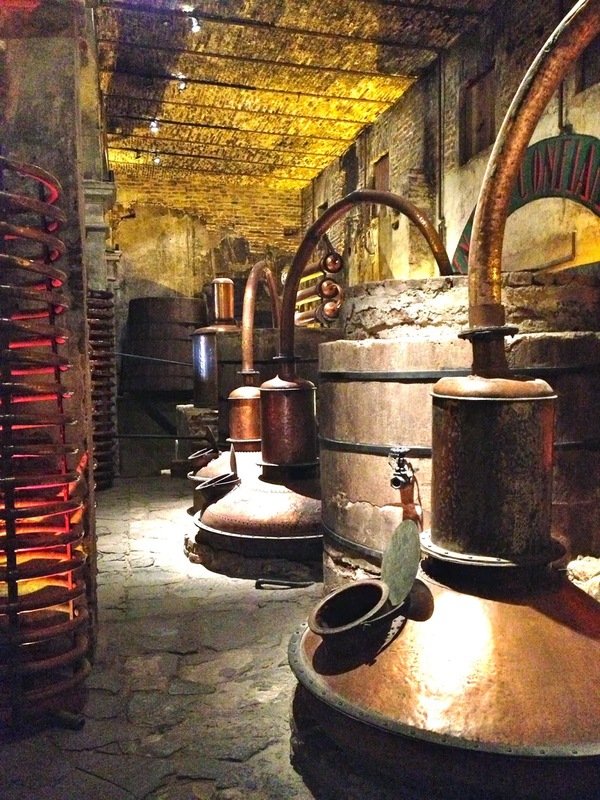 The distillation process raises the alcohol level to the appropriate percentage, usually between 38 to 40 percent. 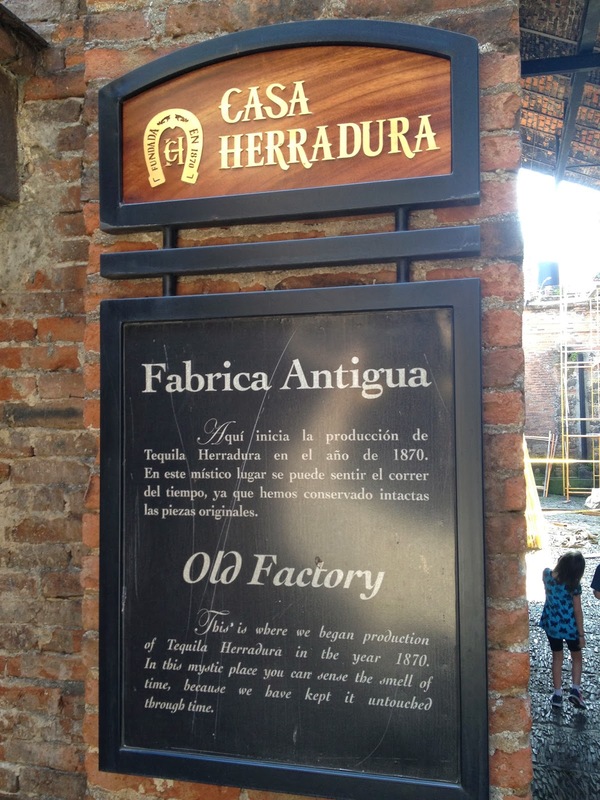 The tour culminated with a visit to the original Herradura factory and a delicious al fresco lunch. 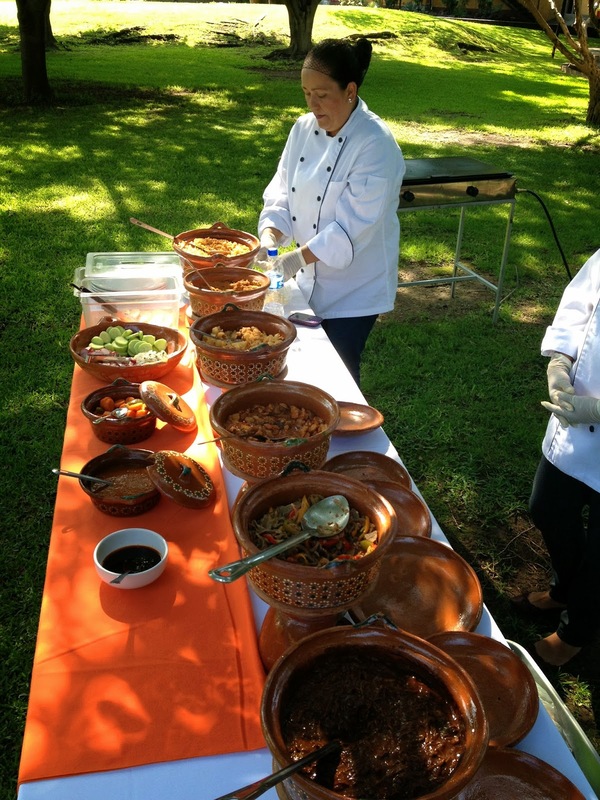 Chicken mole, pork in chile verde and carne asada, oh my! If you have the time, a tour of the Tequila region and Casa Herradura via the Tequila Express Train, La Leyenda, would be a fun option. It leaves Guadalajara around mid-morning and includes a day of touring the new and old factories, tequila tasting, Mariachi music, folklorico dancing, roping demonstrations and lunch. 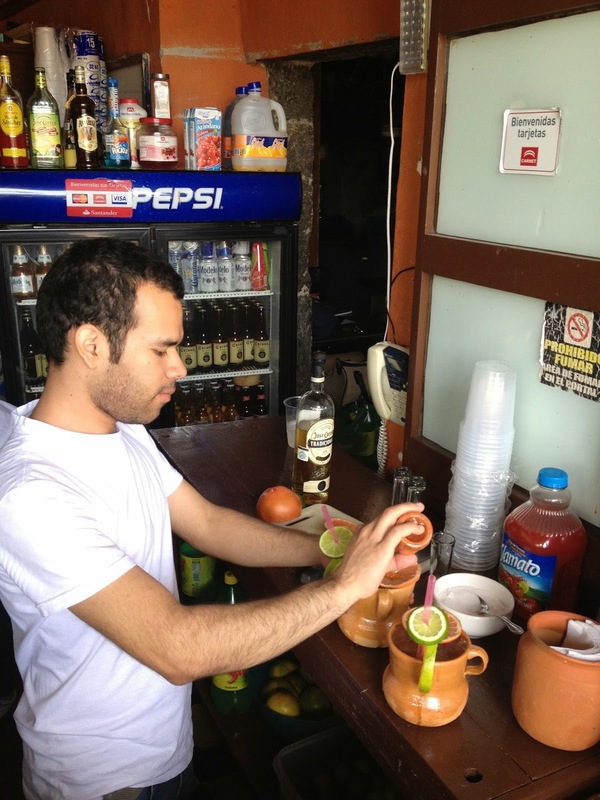 Check it out at www.tequilaexpress.com.mx. 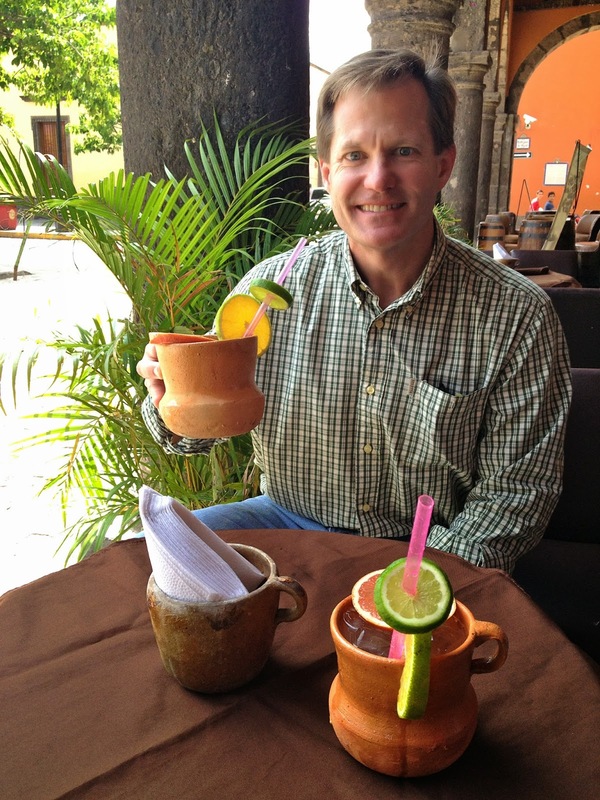 While walking the main square of Tequila, we tried a new cocktail (for us), called a Cantarito. Sometimes called the “complex cousin” of the Paloma, this refreshing drink adds grapefruit, orange, and lime juices to tequila and a splash of Squirt. Our bartender added a pinch of salt at the beginning to rest at the bottom of the cup, but you could also serve the drink in a highball rimmed with salt. Enjoy! Many thanks to Casa Herradura and their friendly staff for their hospitality and conviviality. All photos are by Marci Symington for www.texaztaste.blogspot.com.